The London Fat Women's Group went through two phases. The first took place around 1987-1989, the second from 1992-1994 or so. 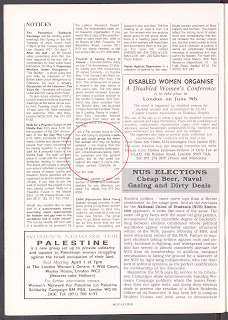 Both groups were either based or made use of the resources at The Women's Centre, at 4 Wild Court in Holborn. Sadly this no longer exists, though it should (have a peek at Wild Court now in the video A Walk Around Fat Activist London). 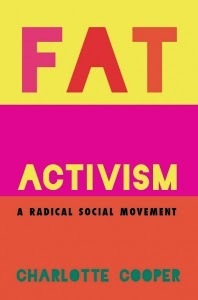 Both phases of the group were explicitly feminist and intersectional, which is to say that participants had fat in common but their experiences of it varied according to other identities. I'm not sure how the first group came into existence. From researching my book it would appear that somebody got hold of Shadow On A Tightrope and initiated some conversations amongst feminists in the UK. 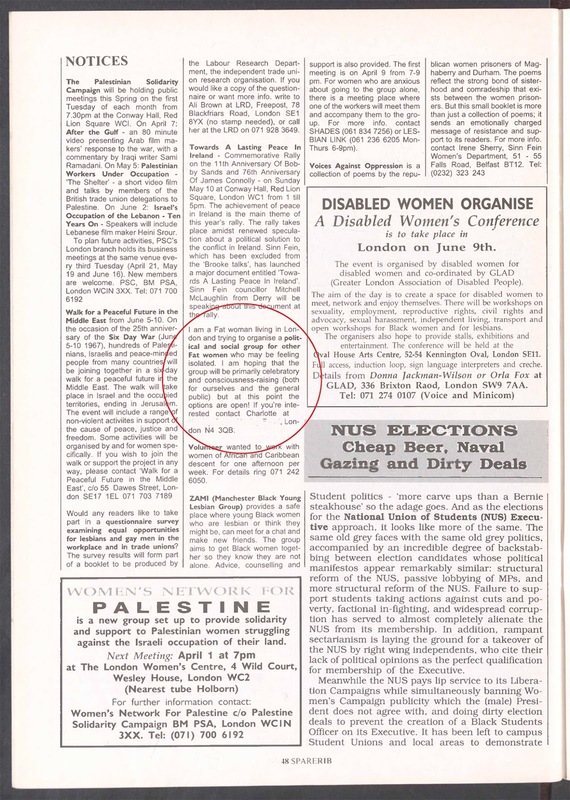 They published articles in Spare Rib and Trouble and Strife, created a BBC documentary (see my post Revisiting BBC Open Space: Fat Women Here To Stay) and organised a national conference at Wild Court in 1989. The latter involved generating national media exposure, which is how I got to hear from them. The conference created sparks, a publishing house, books, short-lived groups. The main group ended, I believe, because of burn-out and internal conflicts, but it has not been possible to corroborate this. I don't know much about who was in the group or what happened to those women. I am a fat woman living in London and trying to organise a political and social group for other Fat women who may be feeling isolated. I am hoping that the group will be primarily celebratory and consciousness-raising (both for ourselves and the general public) but at this point the options are open! If you're interested, contact Charlotte at [address]. People did contact me and we started to meet. A group formed with some core members and others who came and went. We met monthly in the Rotunda at Wild Court and produced a newsletter called Fat News. I left in 1994 and the group folded but also created other sparks: an exhibition and a magazine. Both groups experienced difficulties and are now really obscure. The generational divide is vast between these earlier fat feminisms and a discourse around fat activism that has moved towards consumerism and 'body positivity'. In scholarly literature, dominated by the US, the only historical fat activist organisations that matter enough to be documented usually reflect a North American cultural bias. 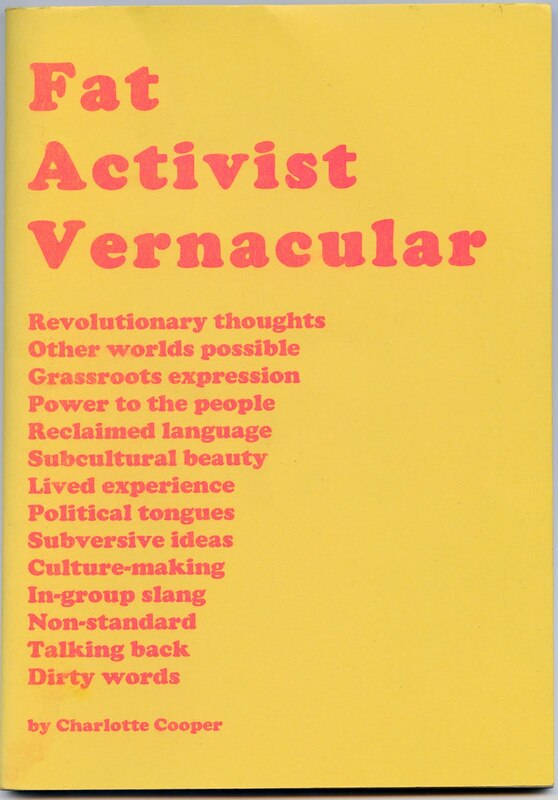 It's as though these activists never existed. Not only that, but in the late 1980s and early 1990s there were other international, non-Anglophone, fat feminist groups that sprouted and then ended. Information about them is currently sketchy, but there must be people still alive who know and who have stories and material to share for the benefit of the movement.